Elizabeth Granoff maintains a solo practice in Illinois. She will be teaching a course called “I’ve Been Grieved. Now What?” at Solo Practice University®. Prior to establishing her own solo practice in Chicago, Illinois, which focuses in large part on the defense of lawyers charged with disciplinary violations and defense of law students before Character and Fitness, Ms. Granoff worked for more than nine years as Counsel and then Senior Counsel with the Illinois Attorney Registration and Disciplinary Commission in both the litigation and intake divisions. In this capacity, she prosecuted lawyers, reviewed thousands of files for potential ethical violations, assisted with the resolution of attorney complaints and gave ethical opinions on a wide variety of issues. 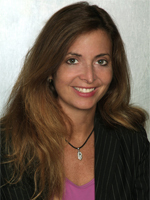 In her capacity as a consultant for lawyers and law firms, Ms. Granoff has worked with small to mid size high volume law firms handling internal complaints with clients, acted as in–house ethical counsel and as helped initiate preventive measures within law firms to avoid ethical violations of the Illinois Rules of Professional Conduct. A graduate of the University of Wisconsin-Madison, she obtained her Juris Doctorate from IIT-Kent College of Law in June of 1992. She is a sought-after lecturer at law firms in and around Chicago as well as for the Chicago Bar Association. Her lectures focus on the Attorney Disciplinary Process in Illinois and she also speaks on ethics and legal marketing through the Professional Business Development Institute. She has also spoken throughout the legal community on the importance of work and life balance. Syllabus – I’ve Been Grieved. Now What? Tips to Stay out of Trouble. Tips for lawyers to avoid legal malpractice claims and disciplinary complaints. How and why is it necessary for a lawyer to protect themselves? What can be done in your own practice? Stress in the Legal Profession. Learn the various stresses that can and do affect lawyers. How to recognize it? What to do to lessen the effects. Why a work/life balance is so important. A complaint was filed against me, now what? How to answer a Disciplinary Committee. The pitfalls and perils of answering a complaint along with ways to do it effectively will be explored. When do I need to hire an attorney regarding the Disciplinary Complaint that has been filed against me? When an attorney should hire counsel. I did something wrong, now what? What to do when you’ve done something wrong. Is a Disciplinary proceeding adversarial or is it something else? How do remorse, rehabilitation, and contrition come into play? Passing the Character and Fitness Portion of Admission. I’ve passed the bar, but what do I do about Character and Fitness? In this class, I will discuss how to fill out a bar application, what to do if you have issues, what documentation you should provide to the bar, learn if you need to hire an attorney, what to do if you get called to go before a Panel? Professionalism in the Legal Community. What happened to professionalism? How to get it back in your own practice.